In 2006 we realized there was a place for “designer style level” private label Outdoor bags. 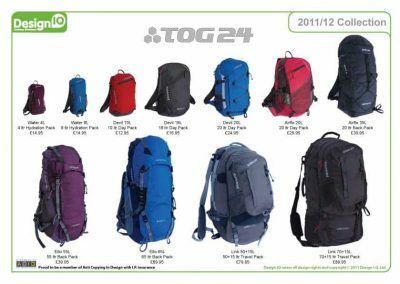 Our research at this time showed that most retailers who had ‘private label’ bag collections were simply buying re-badged old styles by established mid market regional brands – such products only asset was their low price. 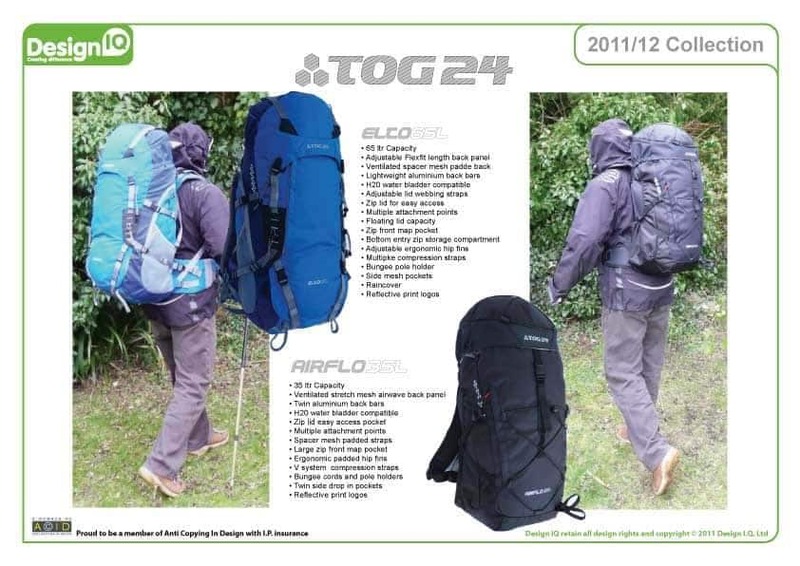 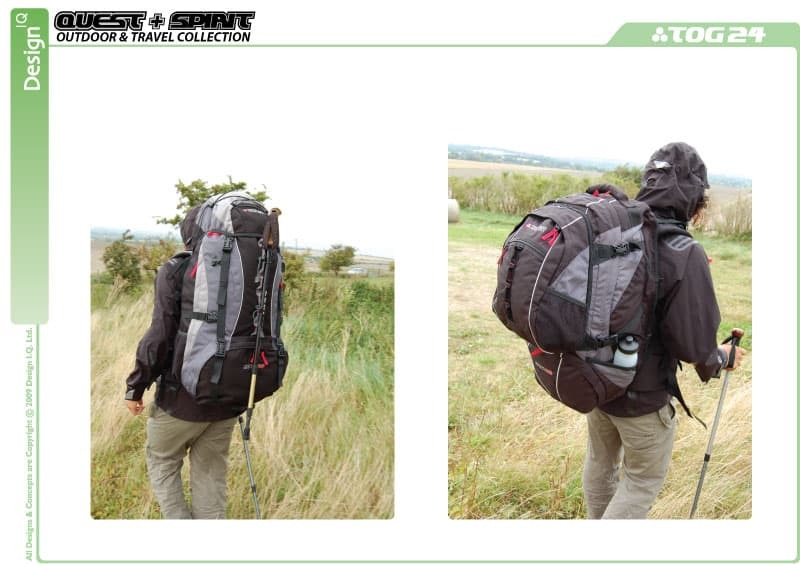 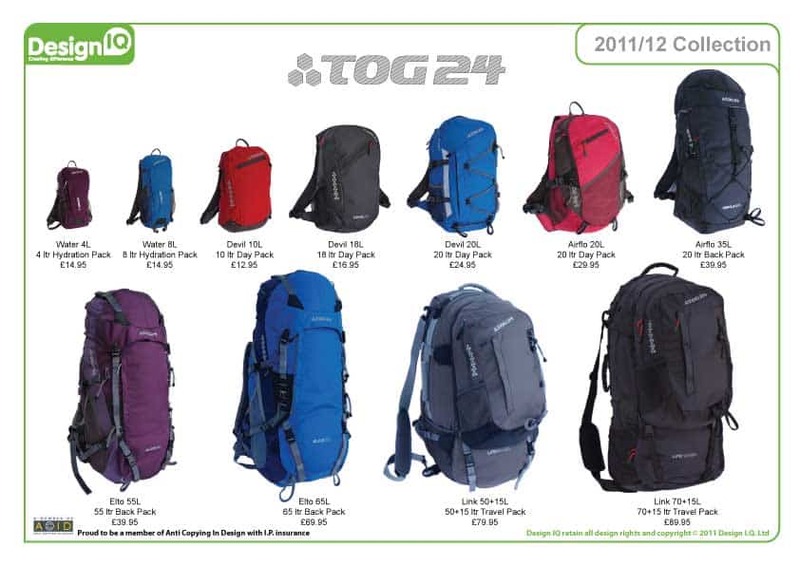 We had the insight to see was that if a retailer could offer a full size range of Outdoor backpacks with all the features, conviction and benefits of branded backpacks at a competitive price – then this could be a winning formula, giving the retailer higher margins and the customer good style and function for money. 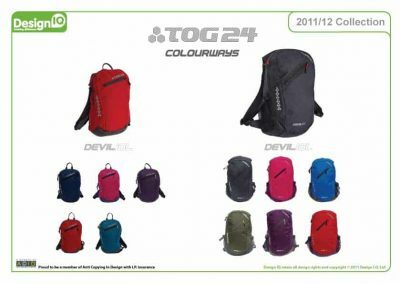 Tog 24 were the first retailer to have the confidence and conviction to see this idea through to the shop shelves, and the Warp collection ( renamed ‘Quest’ and customized for Tog 24 with special swing tags etc ) was ordered. At the time of writing this these bags have now been selling for three years. 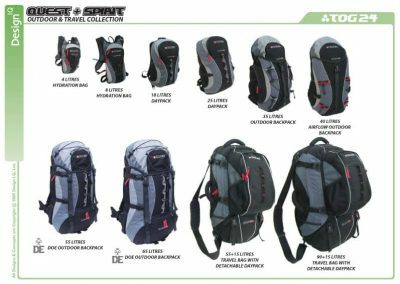 Click for a picture of the full collection.